Bayleys is targeting Asian community to enlarge its property market share. Comeing to the year of the Pig next Chinese New Year, you need to check your zodiac year, it's fun. New Zealand Post will issue the year of the Pig stamps in Jan 2019. It's the new release Chinese picture which had post production in New Zealand, it's an action film with well-known Chinese celebs 9 July at Event Cinemas. Asiaworks launched its new filmmaking business Koru Films recently. It will provide the services for filmmaking projects from overseas to land on New Zealand, and also, it will prepare its own film project 'Getting Home' in three years time. Bayleys launched its Asian media campaign recently to target Asian community for those who has interest in investing in New Zealand property market. 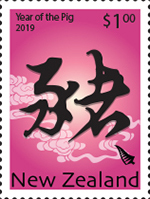 Asiaworks is working on the year of the Pig stamps design, which is the one of the tiwleves collectable stamp sets that New Zealand Post issues every year, the Chinese New Year falls on 5 Feb 2019, it's the year of the Pig according to Chinese Zodiac. 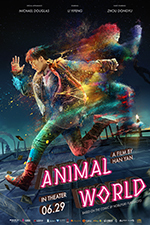 Chinese film 'Animal World' is coming to New Zealand on 9 July 2018, it involved with New Zealand post production company. It's an action and comody film but nothing to do with real animals. New Zealand Asia Pacific Film Festival starts its campaign, the 2018 NZAPFF is scheduled on 27 Oct at SkyCity. Asiaworks has its facebook up running at www.facebook.com/asiaworks. we will update information more frequently through this online media. Bo Li accepted an interview with New Zealand Immigrations, the article can be found at read here. Indian new boollywood film that produced by local Indian film director is going to launch at the end of June. Chinese community is running a singing competition program hosted by a group of Chinese communities, the winner will go to China to participate final competition. Today, Chinese social media WeChat plays the most important media role in the community. The local Chinese media runs WeChat post eveyday for news, and the cost of advertising on the WeChat platform is getting higher than the tradional press ad. Now, there are five Chinese freeview TV channels running 24/7, the media competition is getting tough. The information contained in this newsletter and any accompanying files is the copyright of Asiaworks. To be removed from the Asiaworks mailing list, please send us an email. Contact us if you have any comments, news to share with us.